The National Institute on Drug Abuse (NIDA) has issued a request for application for the Justice Community Opioid Innovation Network (JCOIN) as part of the HEAL Initiative. Applications are due February 28, 2019. JCOIN will establish a network of clinical research centers to rapidly conduct studies on quality care for opioid use disorders in the justice population. There are three separate funding opportunity announcements for 8-12 Clinical Research Center (CRC) awards, a Methodology and Advanced Analytics Resource Center (MAARC) award, and a Coordination and Translation Center (CTC) award. CRCs are encouraged to include rigorous economic evaluations, considering societal outcomes such as costs of treatment and cost of crime. All data will be shared with the MAARC, which is also encouraged to include expertise in economic evaluations. The CTC will provide administrative and translational support for the CRCs. A recording of the JCOIN technical assistance webinar is available online. JCOIN organizational structure (NIDA technical assistance presentation). NIDA has also issued a request for application for up to 10 research project awards and a Coordinating center award focused on preventing opioid use disorder in older adolescents and young adults (ages 16- 30) as part of the HEAL Initiative. Letters of Intent are due on February 13, 2019 and applications are due March 14, 2019. All research project proposals should include expertise in economic evaluations and an economic evaluation component. 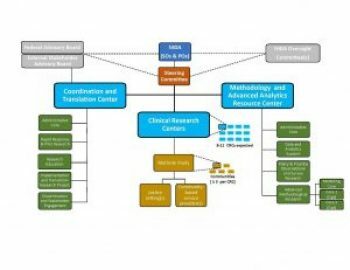 The Coordinating Center will also work with individual research projects to develop and execute economic evaluations for the interventions and strategies studied. A recording of the technical assistance webinar is available online.